Interment was in the Bohemian National Cemetery in Silver Lake. Beverly Ann Svanda was born Aug. 16, 1931, to Joseph and Alice (Johnson) Bjork in Stockholm Township, Wright County. She was baptized and confirmed at Stockholm Lutheran Church and attended Dahl Country School and Cokato High School. She married Ernest Svanda on Aug. 21, 1949. She and her husband enjoyed traveling in their motor home to Arizona and to threshing shows in the area. Their fondest trip was to the Czech Republic in 1979. Together they drove their Farmall tractors in parades in neighboring towns. Mrs. Svanda enjoyed being a farmer’s wife. She helped with the field work, milking and painting the outbuildings on the farm. She was a guardian ad litem and a strong advocate for children. 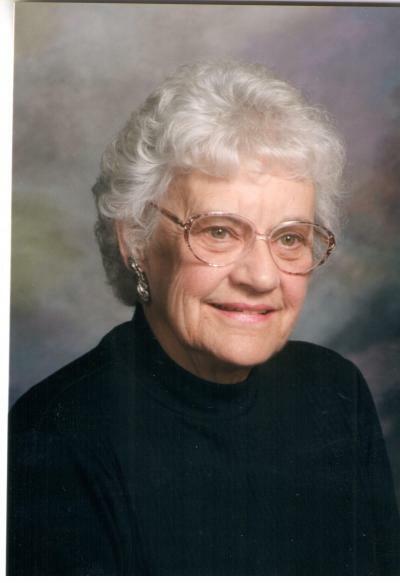 She also was McLeod County’s first home health aide. She was a loving caretaker to her family and to others. She played the accordion, organ and piano, all by ear. She was an active member of Faith Presbyterian Church. She is survived by her loving husband of 66 years, Ernie Svanda of Silver Lake; children, Bruce Svanda of Silver Lake, Bonnie (Gary) Hahn of Dassel and Barb (Larry) Ruzicka of Dassel; grandchildren, Erin (Torrey) Keith, Joelle (CJ) Renko, Kelly (Jeremy) Vasek, Marisa Johnson and Ryan (Angella) Ruzicka; great-grandchildren, Jennah, Larissa and Karlie Keith, Raelie and Jace Renko, Chyler Vasek and soon-to-be-born baby boy Vasek, Aiden Johnson and Biella and Bjorn Ruzicka. She was preceded in death by her parents; sister, Arlene Evenski; and brothers, Rodney and Francis Bjork.